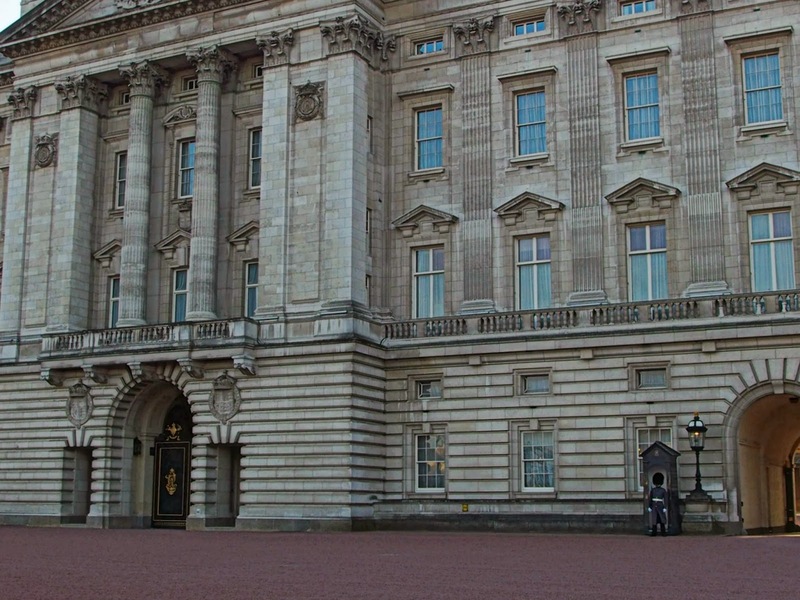 Buckingham Palace, one of several palaces owned by the British Royal family, is one of the major tourist attractions in London. The Changing of the Guard in front of the palace always attracts plenty of spectators. The original building was constructed as a country house in 1705 by the duke of Buckingham, John Sheffield. King George III bought the house in 1761 for his wife and had it altered by William Chambers. 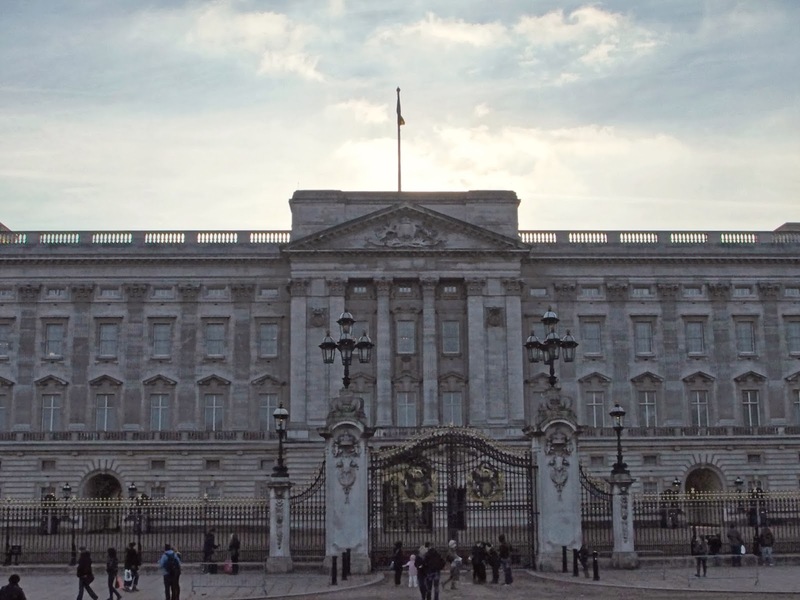 In 1826, King George IV asked famed architect John Nash to expand the house – then known as Buckingham House – into a palace. Meanwhile St. James’s Palace was still the principal palace used by the royals for ceremonies and receptions. A part of the palace is still used by the Royal family. The palace is not only home to the royal family, there are also a number of staff members living here. 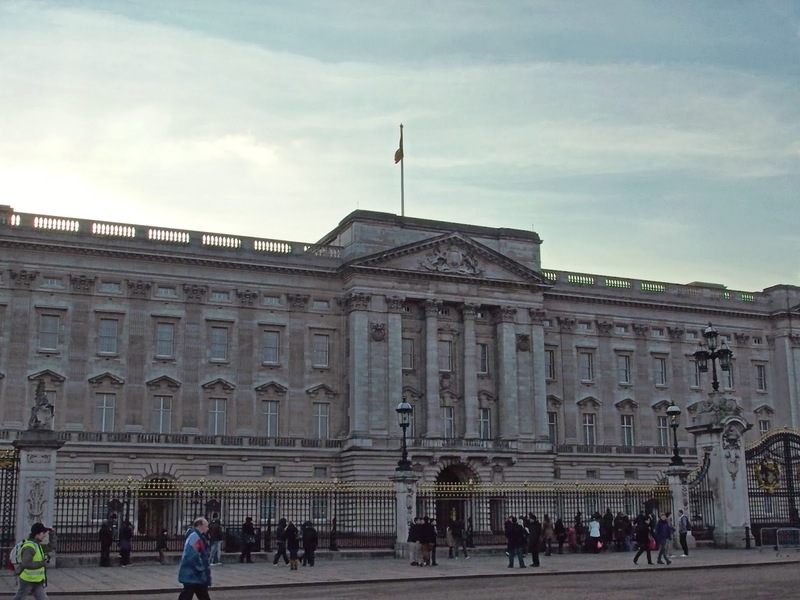 A flag is hoisted each time the Queen is in the Palace. The palace has about six hundred rooms, including a throne room, a ballroom, picture gallery and even a swimming pool. 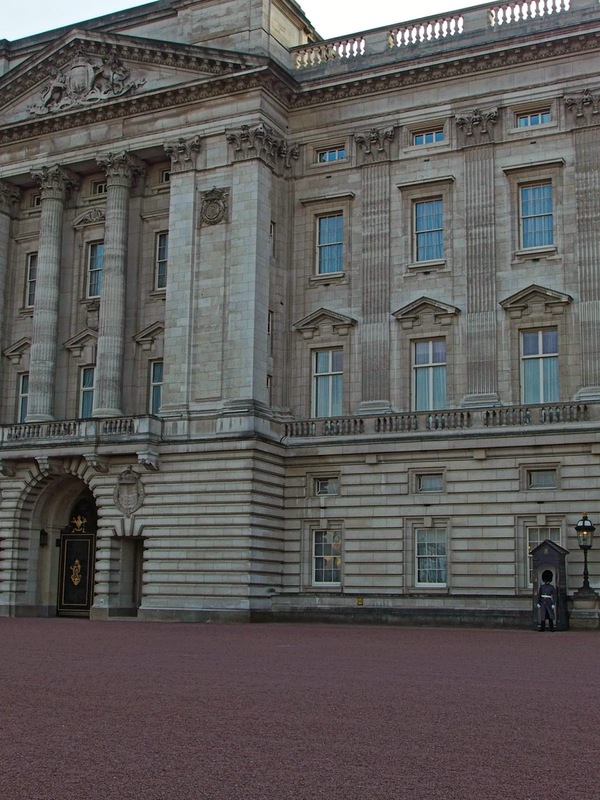 Some of these rooms can be visited during a couple of months in the summer – when the Royal Family is not in the palace – including the lavishly decorated State Rooms: the Throne Room, Green Drawing Room, Silk Tapestry Rooms, Picture Gallery, State Dining Room, Blue Drawing Room, Music Room and White Drawing Room are all part of the tour around the Buckingham Palace. Another interesting part of the palace that is open to visitors is the Queen’s Gallery, where works of art from the royal collection are on display. 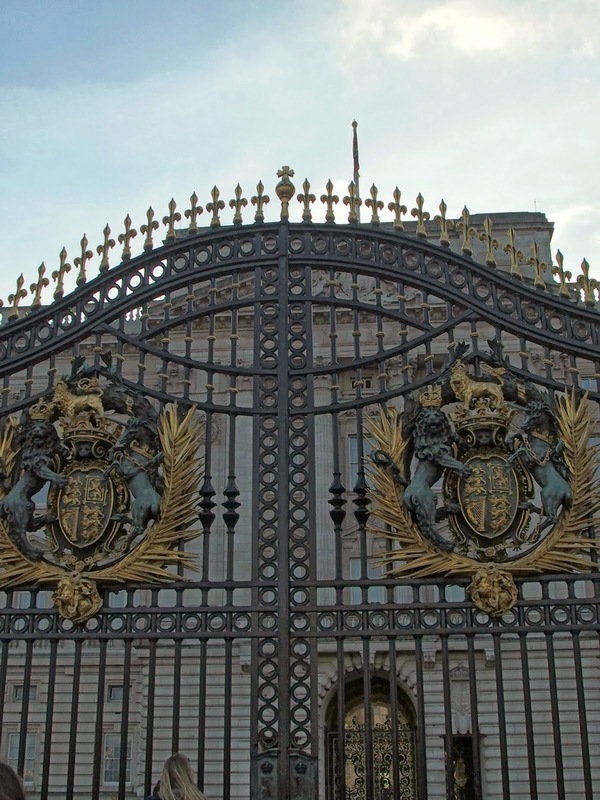 The palace’s stables, the Royal Mews, can also be visited. Here you’ll find a number of royal horse-drawn carriages. 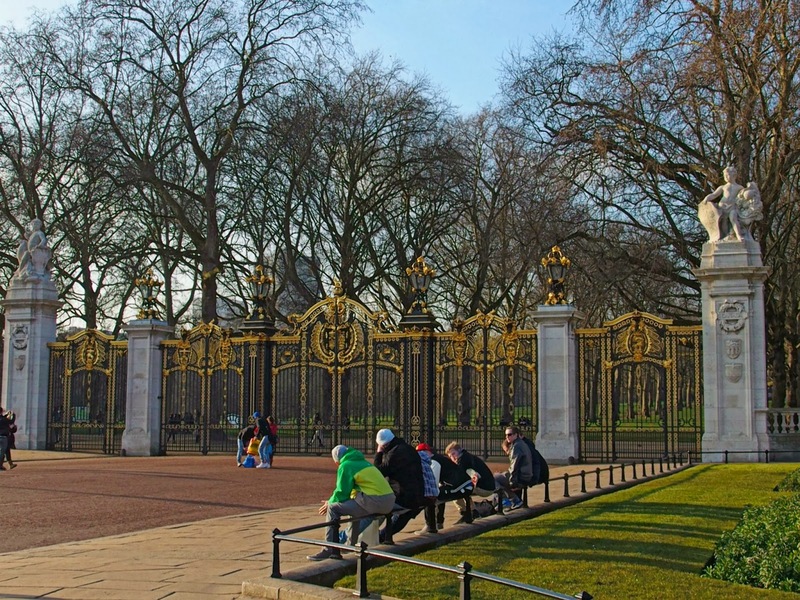 The changing of the guard takes place daily at 11 o’clock in front of Buckingham Palace. A colorfully dressed detachment, known as the New Guard, parades along the Mall towards Buckingham Palace and during a ceremony replaces the existing, Old Guard. The ceremony, which is accompanied by music played by a military band, always attracts throngs of onlookers. 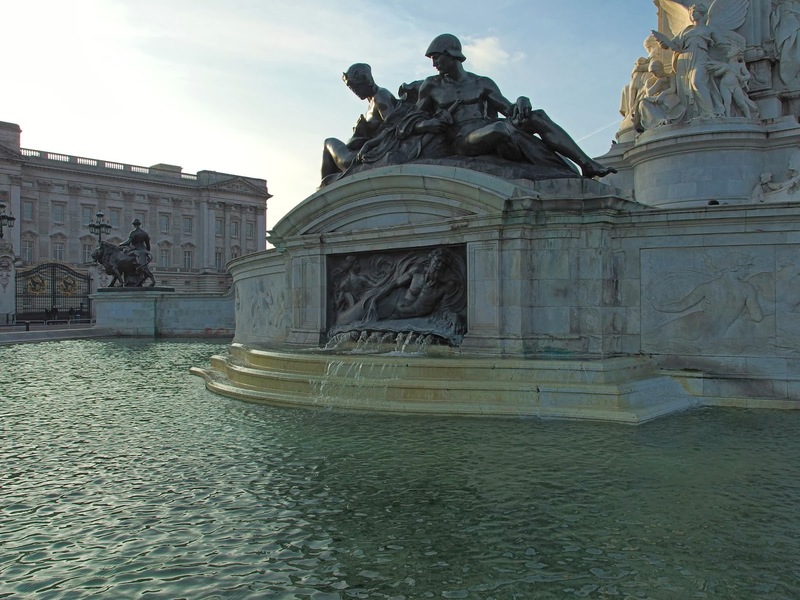 Situated right in front of Buckingham Palace, this large memorial was built in honor of Queen Victoria, who reigned for almost 64 years. 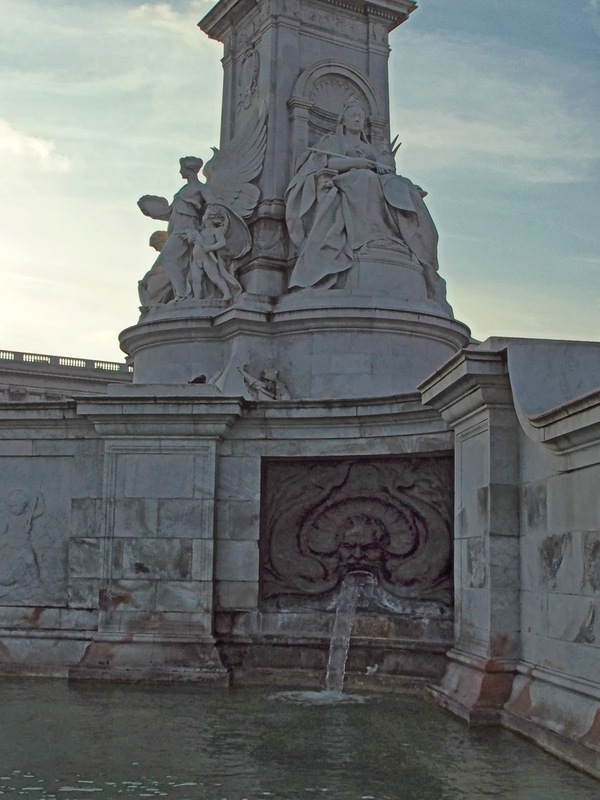 Standing 25 meters high and made of 2,300 tons of gleaming white marble, the Victoria Memorial pays homage to Queen Victoria, who reigned from 1837 until her death in 1901. The memorial was designed by Sir Aston Webb, an English architect also responsible for the main facade of Buckingham Palace. The large statues surrounding were sculpted by Sir Thomas Brock. 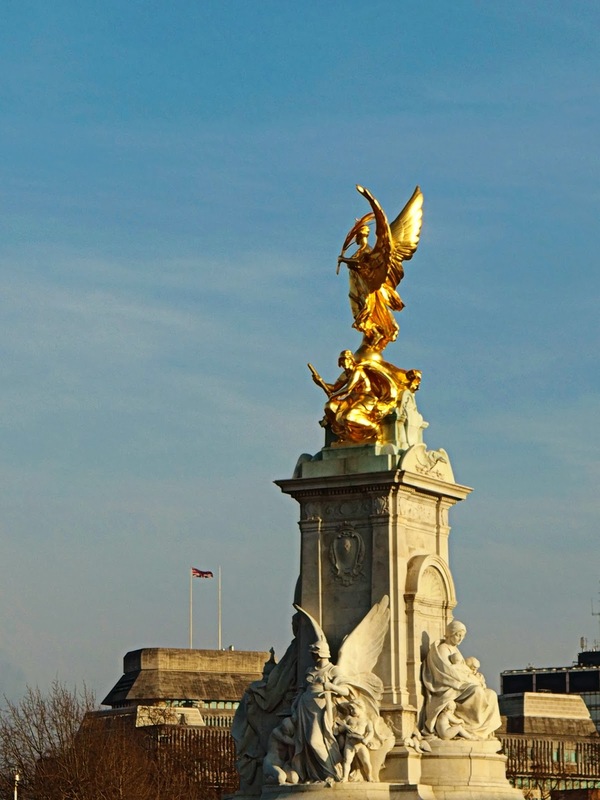 The memorial was then completed in 1911, one decade after Queen Victoria’s death. 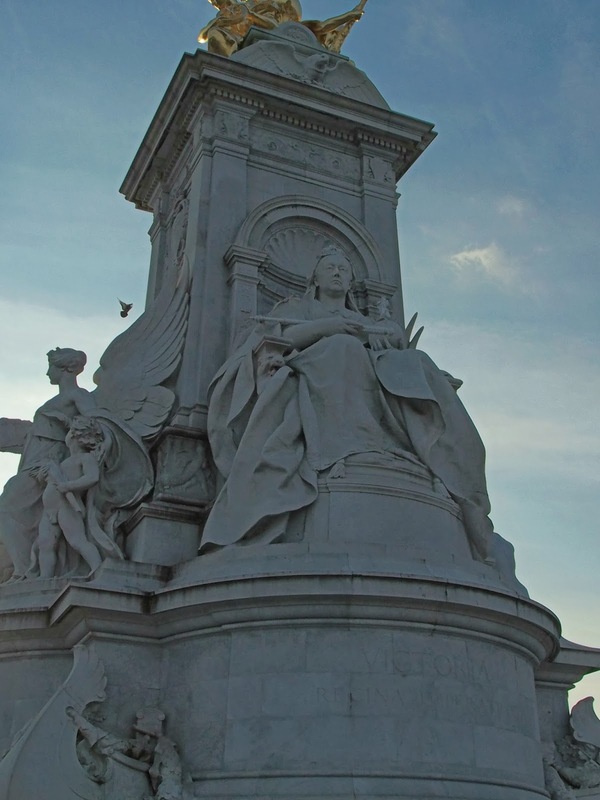 Victoria, of course, was the reason for the monument, but there’s much more to see than just the queen, who faces eastward away from Buckingham Palace with the words “Victoria, Regina Imperatrix” (Victoria, Queen and Emperor) placed below her. On the north side of the monument you’ll find the Angel of Justice and on the opposite side, the Angel of Truth. 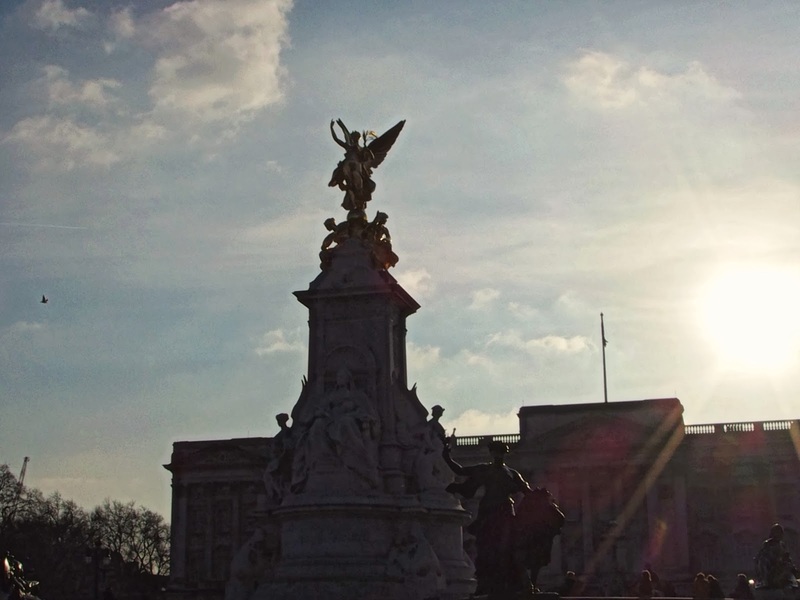 On the western side, looking towards Buckingham Palace, is a statue of Charity. All of that is topped off with a gilded statue of Victory, sitting atop the pinnacle with a seated figure on either side, said to represent Courage and Constancy. Just above the steps to the surround, you’ll find ships’ prows, which were placed there in reference to Britain’s place as a major nautical power. Other sea-related creatures can be found on the reliefs on the outside surface of the enclosing wall, including mermaids, mermen, and other sea creatures. Also on the enclosing wall are groups of bronze statues. The bronze groups on the east are symbolical of Peace and Progress and, on the west, of Industry and Agriculture. Down the steps leading to the ground level, you’ll find two sets of wonderful majestic lion sculptures. One set is said to have been a gift from the people of New-Zealand. An interesting tidbit here; Londoners sometimes refer to the Victoria Memorial as “the wedding cake” monument because of its tiered shape! Throwbacks of my life: Kawasaki , Koganei & Ueno Ripley’s Believe It or Not!